One of the first and most obvious things to consider is just what exactly is involved in your flooring project. Will you be removing old carpeting to install wood flooring in an entire room, or refinishing solid wood in a particular area? Does the project involve changing the flooring on a staircase? Considering the scope of the project, do you have a desired timeframe for project completion, and would you be able to complete the project within that timeframe the same way a flooring company would? Figuring out a budget for a flooring project is one of the first things that will help you determine whether you should attempt the repairs or upgrade yourself or hire a flooring company. Research the prices of the types and style of flooring materials that you’re looking for, as well as any potential shipping costs. If you attempt the project yourself, also be sure to factor in the cost of all necessary tools, equipment, and supplies if you don’t already own or have access to these things. If you’re considering taking on a flooring project yourself, another obvious factor is your skill level in the project. How familiar are you with home improvement projects in general? Have you ever completed a wood flooring project before? Do you know how to remove old hardwood floors, or how to use construction tools? Do you know how to fix potential mistakes? Most importantly, do you even enjoy working on labor projects? Flooring renovations may seem to be something you can or be willing to tackle as you initially consider performing the work yourself versus hiring a flooring company, but it’s important to assess your true, overall ability in whether you can complete the project adequately and to your satisfaction. Although the labor costs associated with hiring a flooring company is often a factor as to why many homeowners attempt to take on a flooring project themselves, the high quality work received from a professional service is worth it in most cases. And let’s face it: hiring a professional contractor removes the hassle of undertaking this type of DIY project in the first place. Before hiring a flooring company, get the dimensions of the room or area that you will be working in to ensure that you receive accurate quotes. Get several estimates as well as references, which a good flooring company should always be willing to provide. Most importantly, make sure that a professional understands the entire scope of your project. Good communication with anyone you hire to install or repair the flooring in your home will help keep the process as efficient and painless as possible. 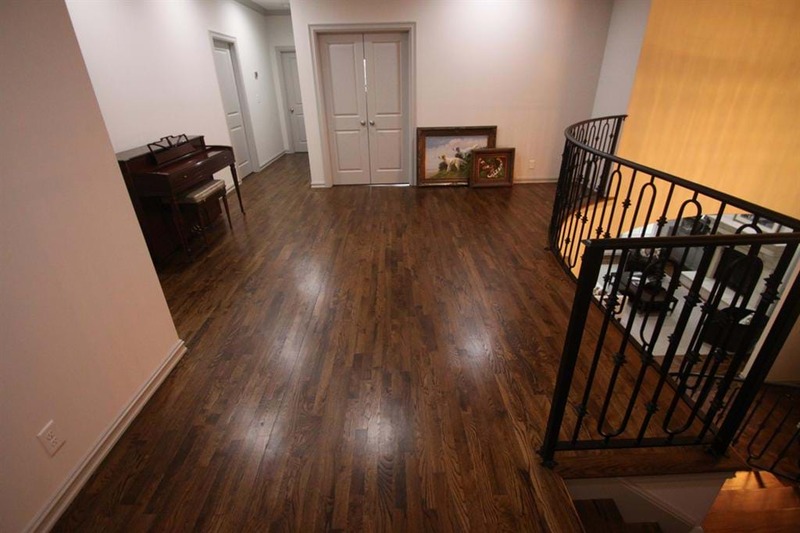 If you are in need of professional wood flooring services, contact Brücke Flooring in Tulsa, Oklahoma today!